Good morning – See you at the Community Breakfast in the Youth Hall ! 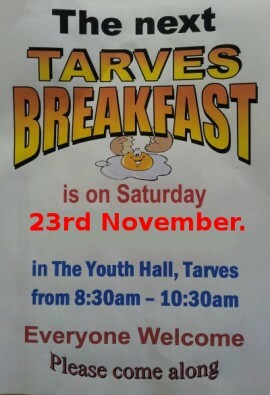 The Next Tarves Breakfast is on 23rd November. Get the date in the diary!